Friction welding doesn’t use consumables like filler metals, fluxes, gases, etc. 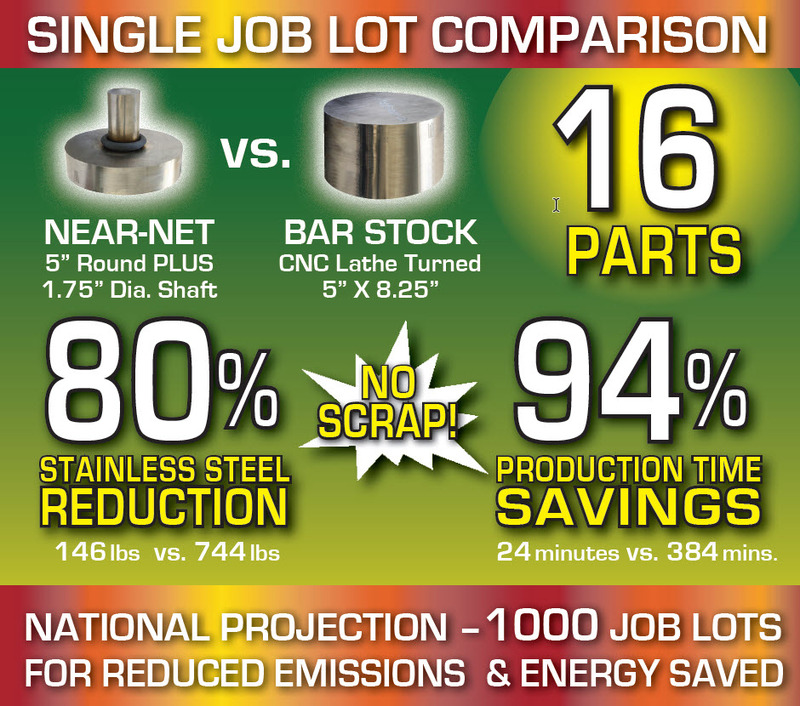 Reduces machining labor, thereby reducing perishable tooling costs while increasing capacity. Reduces raw material costs in bi-metal applications – Saving money on expensive or rare materials. One of the biggest incentives for adopting a new friction welded design is the ability to combine dissimilar materials. Conventional welding methods don’t allow the joining of different materials; but friction welding does, allowing the use of exotic alloys in special use areas! See our Materials Combined List to learn more. Suitable for diverse quantities – from single prototypes to high-volume production. Full surface weld – giving superior strength in critical areas for long-lasting durability. Consistent component quality – our friction welding process produces duplicate integrity through repeatable metal fusion. As the largest full service, direct-drive, rotary friction welding shop in North America, AFW delivers an unmatched experience, quality, and support from design prototyping & customized solutions through full production. Our experts are ready to discuss how our friction welding process can be applied to your current fabrication needs.